How to check if my web host is using new or old MySQL? Anyone know how check if my current web host is using new or old MySQL? I presume that you are currently having a shared hosting service. In such case, the MySQL version should be provided in phpMyAdmin first page. There in the "Database server" section, "Server version" should show what MySQL version is currently being used. I have websites running on both shared and vps servers. 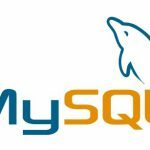 I want to know what version of Mysql is the latest version and how to check mysql version on my hosting and compare with new version. In such case, the MySQL version should be provided in phpMyAdmin first page. Is it noted in this block in PHPmyadmin? I don't see Mysql version there. As seen in the picture, your database server is MariaDB and not MySQL. In general, the shown 10.1.22-MariaDB version should be as MySQL 5.6 and 5.7 upgraded version, with some new features. As MariaDB homepage currently shows, the newest stable version of it is 10.3.8. Is there a way to check without needing PhpMyadmin? Well, for shared hosting services, the database version can also be provided in service details (if such section is created by your service provider) or in server "details" or "information" section on used control panel. However, it depends on the service provider and server configuration, so a better suggestion for you would be to check in phpMyAdmin. If you have root access via SSH, you can try of using command "mysql -V" that should return the required information (of course, database has to be installed in the server). As I read then this only telling us Mysql client version. And to know real mysql version I need to login into mysql with mysql root username. I am not sure about these. Best VPS in Netherlands you have ever used? Fast VPS with good price? cPanel AutoSSL by Comodo vs LetsEncrypt? 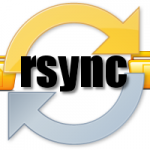 Does auto backup affect VPS performance? Difference between article and blog post? INSTAGRAM VS TWITTER which is better? 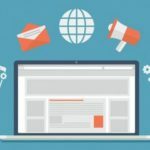 Is LinkedIn Profile more important? How long do you get revenue from online business? Is there any Free Plagiarism Checker Programs or Website? How to check a web hosting company is supporting as excellent? How to check the conversion for website? How to check a website is hosting on VPS or shared or dedicated server?